We partner with the top five HIE solutions listed in the 2018 NHS interoperability report. The NHS Interoperability 2018 report from US-based healthcare market research firm KLAS has revealed the leading HIE suppliers, which are supporting healthcare interoperability. Six of the eight suppliers referenced in the report have already partnered with Healthcare Gateway and its data sharing technology, the Medical Interoperability Gateway (MIG). KLAS interviewed 141 people from 124 NHS organisations in England, including CIOs, CCIOs, CIOS, executives, consultants, IT directors and GP practice managers. Intersystems were named as the leading HIE with Cerner, Tiani, Orion, Graphnet, Docman, Microtest and Sunquest also named in the list. Key data is missing (17%). 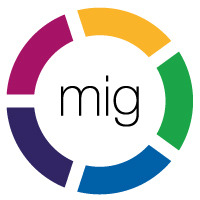 The MIG has the ability to integrate systems using structured or unstructured patient data. Structured data is provided in an xml format, providing flexibility for the host application. To find more about please call 0845 601 2642 or email enquiries@healthcaregateway.co.uk. The findings from the report were shared at a techUK event in London on Monday 25 June.